For more than 20 years, Topaz has been a landmark for French fine dining in the heart of Phnom Penh, where we celebrate time-honoured traditions and cutting-edge gastronomy in a stylish, contemporary setting that reflects the richly cultured, vibrant and dynamic capital city that it calls home. Personally selected ingredients, dedication to service and the deepest pride in being among the best are at the heart of every dish we serve. By sourcing our ingredients from the Marché Rungis in Paris and from individually selected suppliers across France and Cambodia, we leave nothing to chance. And we invest just as much time and energy into constantly training and supporting our staff, some of whom have been with us since the day Topaz first opened its doors in 1997. We strive constantly to create new events highlighting talents with modern, innovative and interesting perspectives on French cuisine. Many Michelin-starred chefs come to celebrate with us, and also to teach us, because we believe in the life-nourishing value of discovery. Topaz is about celebrating the classical traditions that underpin one of the most famous cuisines in the world and honouring those ideals with the best ingredients that we can find. This is why we source premium ingredients from leading producers and suppliers with whom we build enduring relationships that span the globe from France to Cambodia’s coastline. Topaz is a French restaurant, but it is also all about Cambodia and building up the skills of the next generation of young chefs, managers and team players. Topaz is also about bringing cutting-edge gastronomy to Cambodia with its glorious wealth of new ideas, ingredients and techniques, to reward our customers with dazzling, world-class events and fire up the skills, knowledge and creativity within our team. None of what we do would be possible without Papa’s award-winning skills, knowledge and passion that are the backbone of the Topaz experience, from the dedication to impeccable service to the excellence of the cuisine, you will find his spirit there. Papa arrived in Cambodia more than ten years ago, and has since dedicated his life to helping Cambodians develop their skills in the kitchen and on the floor. 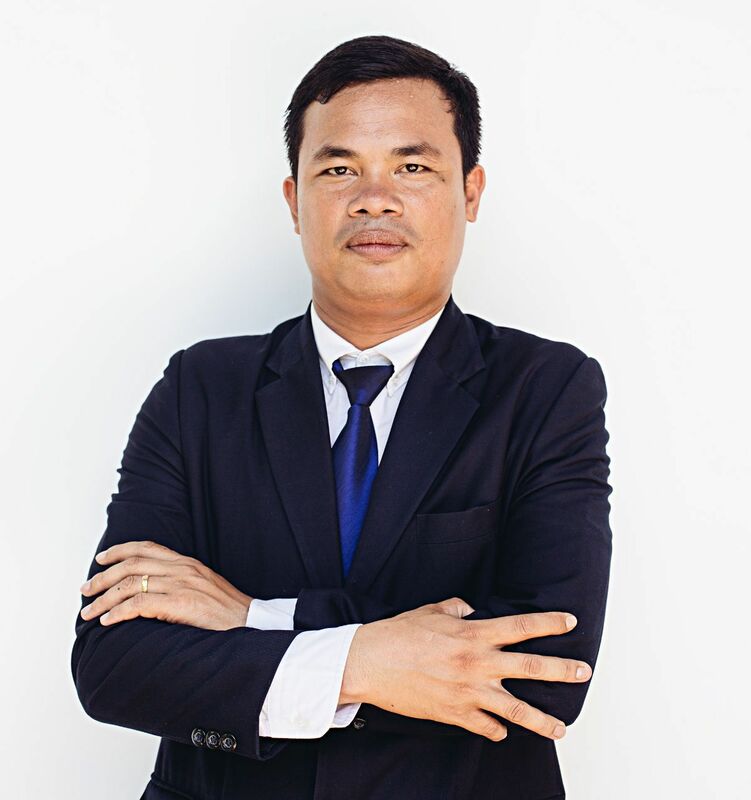 He trains students at Pour Un Sourire d’Enfant, and NGO dedicated to providing skills and training to disadvantaged young Cambodians, many of whom are now working in Cambodia’s best hotels and restaurants, including Topaz. Papa comes from a long, long line of chefs and winemakers which his family have been able to record back to the time his ancestor served as chef to King Louis XVIII in the early 1800s. His own father was a Michelin-starred chef, and he grew up in the company and under the guidance of France’s greatest names, including Lucien Ogier, Emile Tingaut, Jean Delavine and Paul Bocuse. His own experiences brought him to the attention of all the premier restaurant guides, including Michelin, Gault Millau, Routard, and more. It is fair to say that cooking is in his DNA, and it’s hard to keep him away from the kitchen, whether he is cooking, teaching, mentoring or simply enjoying the atmosphere. Every single day is rich with opportunities to learn. This is the belief that has powered Lina Hak’s career at Thalias and Topaz since CEO Arnaud Darc, impressed with her clear, forthright thinking and natural approach towards people, hired her as an administrator in 2006. Since then, even as she progressed up through the ranks, she also found the time to study law at the Royal University of Law and Economics as well as a certificate in international business and a dozen short courses. Lina’s role as a mentor and leader is vital at Topaz, but she is an equally active member of Phnom Penh’s vibrant business networking community. Her warmth and wisdom make her invaluable wherever she goes, but especially when she greets you on the restaurant floor. Sopheak has been with Topaz for 15 years now, where his natural curiosity, ambition and passion for French cooking have been enhanced by training spells in the kitchens of 2-Michelin starred chef Alain Dutournier’s Paris restaurant, Carré des Feuillants, and at Michelin-starred restaurant Arrambide in the Hotel les Pyrénées. Sopheak has a natural understanding of food, sensitive to all its exceptional possibilities and Papa Darc's mentoring has helped him to hone all of these skills and more, while his training abroad has helped him to run a kitchen like a ship. Sothy joined Thalias in 2009 as a section captain on the restaurant floor. Since then, he has risen steadily through the ranks to the position he holds today, embracing the challenges every step of the way not just for the opportunities they give him to serve, but also for the opportunities they bring him to grow. Sothy is a warm, outgoing character, fluent in English and French, and loves to share his passion for food and service while honouring his guests with the service that they deserve. Sothy brings a thoughtful approach to his duties, refined by the ten years he spent as a monk, but he also likes to challenge his team to move outside of their comfort zone, encouraging them to grow and learn with him. A harmonious selection of aged, soft, firm and blue cheeses from Khéma Delicatessen. Our cheeses have been personally selected from among France’s finest producers in order to create the perfectly balanced cheese board. Every month, our chefs create a different and delicious three-course lunch menu for guests who want to enjoy the best but may not have time to wait, proving that fine dining can be both exceptional and efficient. Our Business Lunch Menu allow us to respect our customers’ busy lives while still serving authentic French cuisine created with the finest ingredients from producers who put their heart and soul into what they do, and we can do this while also delivering extraordinary value for money. We have everything you need for a pre- or post-dinner drink, from freshly squeezed fruit juices to chic cocktails mixed by masters and a full range of fine whiskies, cognacs and sprits. Timeless romance with a modern edge: from the solid hardwood flooring to the resplendent, structured ceiling above, Topaz is a haven of classic elegance and sophistication that allows diners to fully indulge their senses. The refined ambience is defined top-down by the attention to details including the nostalgic paintings and photographs on the walls, luxurious dining ware from Bernardaud in the Limoges and crystal glassware Baccarat. We have eight private rooms that can accommodate from six to 60 diners, providing the perfect environment for getting work done efficiently and securely, while still enjoying the benefit of Phnom Penh’s finest French cuisine. Under the shelter of Norodom Boulevard’s oldest surviving Banyan Tree, Topaz’s courtyard garden is a green and peaceful oasis, perfect all year round for a relaxing pre-dinner cocktail, lunchtime or evening dining. Not to be missed for an especially romantic touch. An international standard ballroom and conference centre in the heart of Phnom Penh with a big banquet hall for up to 200 diners, plus an annexe with capacity up to 60 pax, all supported by our experienced event management team. Find more information in "Meetings & Events"
The destination for spirit lovers in the capital, with a wide range of premium and luxury spirits served in a sophisticated setting by a trained and knowledgeable team who are there to share their knowledge with the curious and make regulars feel at home. Guests can also enjoy a selection of wines, sparkling wines, cocktails, premium cigars, and a short menu of fine-quality bar food, including burgers, lamb shanks, foie gras, pâté, and charcuterie is available. One of the most impressive wine cellars in Cambodia, Topaz has a dedicated, atmosphere-controlled space where we keep our carefully selected range of premier and prestige wines including Duval Leroy Champagne, for which Thalias is the exclusive supplier in Cambodia. Our facilities are specifically designed to accommodate everything from small private business lunches to world-class conferences in our dedicated Ballroom where there is room for up to 200 seated guests. Whatever the nature of your gathering, meeting, conference, breakfast talk, networking events, product launches, gala dinner or more, our experienced, professional events planning team is on hand to ensure that every detail is taken care of. For any requests, please contact our team. For events that shine, the Topaz Ballroom offers a sophisticated environment that is ideally suited to private occasions such as anniversaries, birthdays, graduations, weddings or wider social events from fashion show, music performance and more. Our professional Event Planning Team has plenty of experience, and can help with everything from selecting the perfect decorations, cakes, themed activities and anything else you need. They are driven by a commitment to excellence that allows them to exceed your expectations. For everything from hors d’oeuvres to dessert, our team can cover off-site events to meet virtually any requirement with our customary Topaz standards and dedication to service. We can adapt to what is needed, as well as helping you to work out what is best for your event with creative ideas for ensuring the occasion is a special one. Don’t hesitate to contact us with any questions. To make a reservation via phone, please call 015 82 18 88. To join our mailing list, please complete and submit this mailing list form.